​This month we celebrate summer fun and ocean health with great new content for you. Discover the creative and passionate world of science and environmental teaching with Lacey Moore. Learn about the interesting journey of a Missouri born kid turned surfer and eventual Sr. Scientist, Dr. James Barry, whose work emphasizes the influence of climate change, including global warming and rising atmospheric carbon dioxide levels, on ocean animals and ecosystems. Explore the amazing Coral Reef Ecosystem which is comprised of tiny, delicate animals who provide endless habitats for a myriad of other ocean life. Ocean Acidification, a result of 200 years of human-released carbon dioxide into the atmosphere is slowly making the ocean sick. Is it too late to reverse this damage? Read more about Let The FUN Begin! We’ve Got Your TREE OF LIFE Right Here! 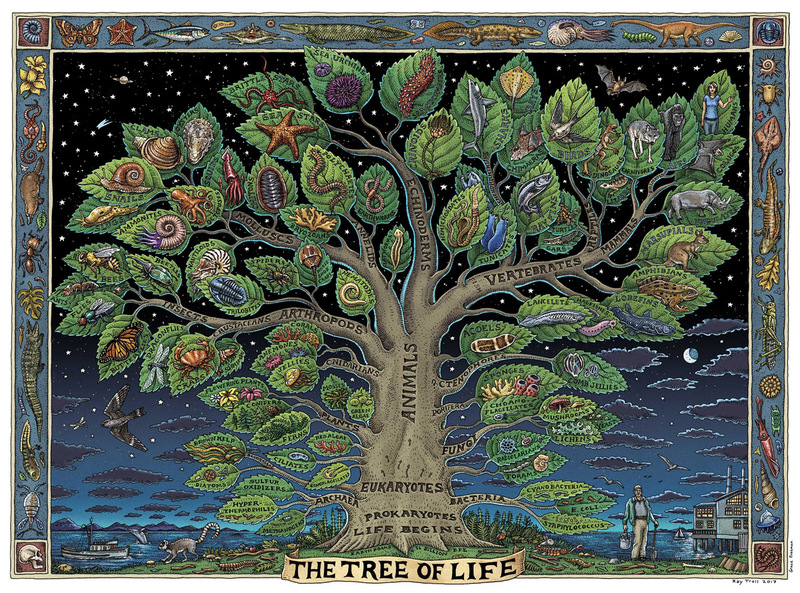 Read more about We’ve Got Your TREE OF LIFE Right Here! When the tide is very low along the California coast you will sometimes find students on their knees intently getting up close and personal with anemones, urchins and crabs living in the tidepools. This isn’t an ordinary field trip. These students are collecting critical data—essential information that informs the understanding and the longitudinal changes to our ecosystems. Their work helps both scientists and elected officials make more informed decisions about coastal habitats along the CA coast.